If I only had one day left on earth . 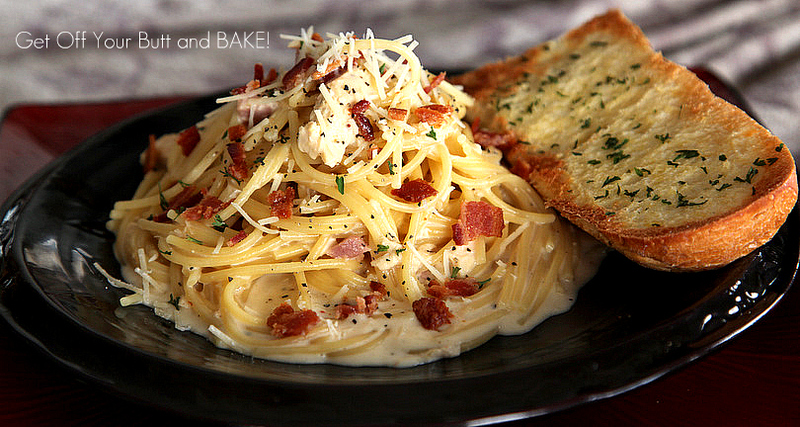 . . I’d want this Bacon Chicken Alfredo Pasta. Right now at the fabulous Denny’s, it’s BACONALIA! What’s that you ask? It’s a celebration of all things bacon with brand spankin’ new delicious bacon items like the new Bacon Maple Sundae, BBBLT Sandwich, Bacon Flapjacks and more. Foodbuzz is asking their publishers to submit our best recipes using BACON. This delicious dish is my pick. It would be my pick for my last meal on earth! So . . . this is my entry. It doesn’t matter what plate I serve it on, it still tastes Delicious. Sometimes I add other veggies as well: Broccoli or Asparagus. Brown Sugared Ham & lots of Crispy bacon . . . what could be better! For Dessert, I made Homemade Marshmallows and turned them into a scrumptious candy treat. That’s coming soon, after I wash all the sticky, gooey, Marshmallow off my camera! I hope that your “Fat Tuesday” has been a delicious one. (CLAP CLAP CLAP) I seriously aplaud you for making that comment! I really can’t believe what people find time to email you. I really think you need to make them public. Everyone would think they were are DUMB as the rest of us! First, that looks amazingly delicious. Like could I somehow justify making it at 8pm, hours after we’ve all eaten dinner? Probably not, but I’m considering it. Second, how the heck have I ever seen your amazing blog before???? I absolutely LOVE it. Amazing recipes and I love your theory of making them simple. So many things I bake people ooh and aah at and act like I performed brain surgery, when really they are so very easy to do – and I’m always trying to get my friends and family to just give it a try. Granted, they have me baking for them, so they probably have this all figured out. 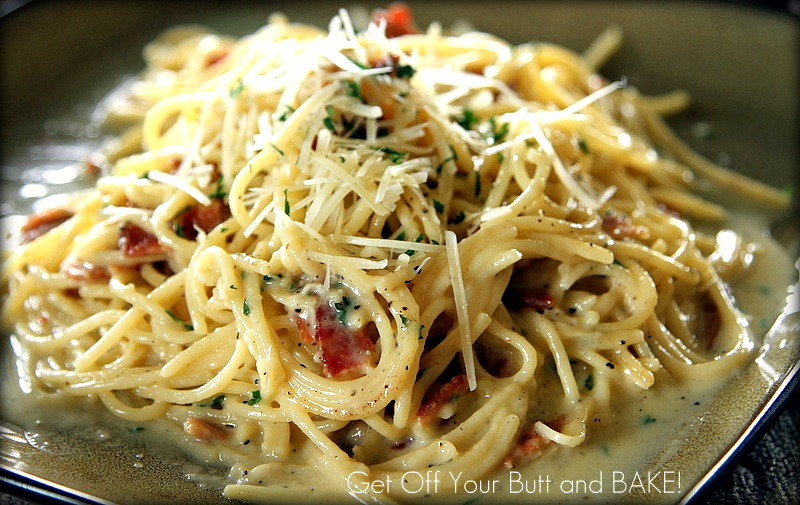 I am a big pasta lover and this recipe has my name written all over it….hehe. Oh man! This looks incredible! My boys (10 & 16) love to look through your recipes with me & tell me everything I should make. I made this last week and it was so amazingly delicious. My friend made it tonight and she loved it too! This will easily serve 4 to 5 people. The sauce is plentiful, so you can add extra pasta if needed.